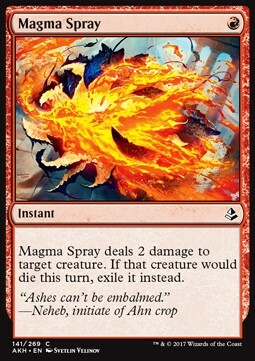 Magma Spray deals 2 damage to target creature. If that creature would die this turn, exile it instead. AMONKHET TOP MINT CARDS! SHIP DAILY! STOCK IN ALL EDITIONS!